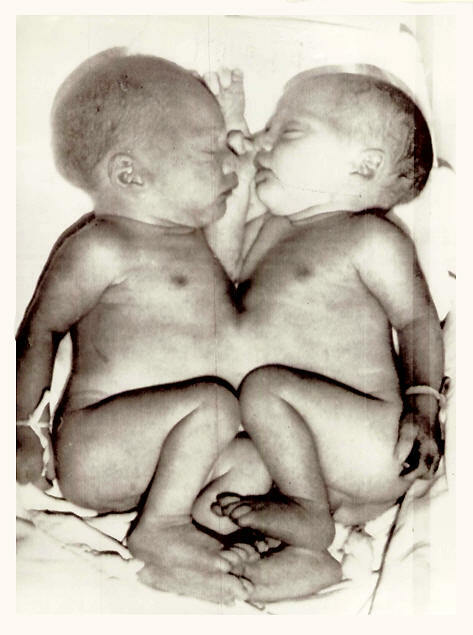 Florence Italy - Siamese twins as yet unnamed lie in a hospital incubator 11-6. The twins were born 11-4 to Maria Gabriella Becttini, 25. The children have a common liver and one of them is in serious condition.